View More In Cupolas & Accessories. For centuries, finials have been used as decorative accents on rooftops around the world. 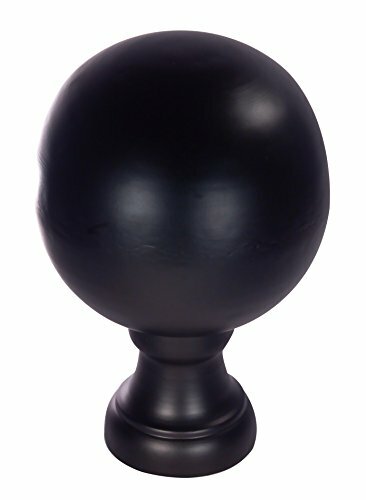 This finial is handcrafted from quality materials by old-world craftsman using tried and true techniques. The Black Matte finish gives a subdued classic look with added durability. This finial looks great on almost any rooftop including the roof of a home, garage, barn, shed, gazebo, or office building. It is also an attractive focal point when used in the yard or garden. If you have any questions about this product by Dalvento, contact us by completing and submitting the form below. If you are looking for a specif part number, please include it with your message.